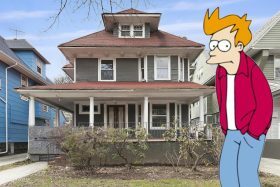 In addition to being an enchanting single-family home with a big front porch and a garage, this Ditmas Park house at 516 Rugby Road has the fun history of being the home of “Futurama” star Philip J. Fry (h/t Curbed). The seven-bedroom house was the childhood home of one of the popular cartoon’s writers, Eric Kaplan. 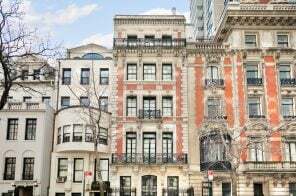 The well-preserved 1905 Brooklyn home is asking $2.195 million.